The Department of Posts, Government of India had advertised a large number of vacancies for Postal and Sorting Assistants in different Postal circles of the country. It is going to be a dream recruitment drive by Department of posts, as huge number of vacancies have been advertised in different postal circles of the country. Indian Post Recruitment is open for freshers and any one who is an India Citizen and full fill the below mentioned eligibility criteria can apply for Jobs in Indian Postal department. Candidates should have at least 18 years and a maximum age of 27 years as on 01-10-2012.
on or before 01-10-2012 through Speed Post/Registered Post of India Post only. Last Date for Receipt of applications is 1st Oct, 2012 and for remote areas it is 11th October, 2012. For Complete Details, candidates are required to check the Detailed Advt of the Respective Postal circles. Candidates will be selected on the basis of performance in Aptitude Test, Typing Test/Computer Test. 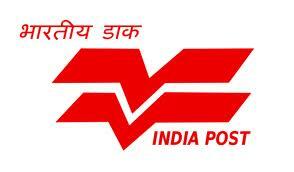 on or before 01-10-2012 through Speed Post/Registered Post of India Post only. 1. Log on to the India Post Official website (www.indiapost.gov.in) and click on the link marked as "Direct Postal Assistant / Sorting Assistant Examination "Register On-Line". under the Latest News column. On the New page, you have to register online by filling up the Registration form.The Registration form will have details such as Name, Date of Birth, Email ID and Alternate Email-ID.After filling the details, you have to click on the "SUBMIT" button. 2. After you click on the Submit button, the System will generate a conformation message on the Screen (Below the Registration form)The conformation message will read like this: "Your request has been submitted successfully and An Application Form & Instruction sheets will be sent to your email ID in next 24 hours." 3. Applicants are required to check their Email Inbox after 24 hours and Download the Application form and Instruction Sheet.The Instructions for further submitting the Post Office Application form is given on the Instruction sheet. 5. All applicants who have already applied using the OMR Application form obtained from Post-Office need not apply again. 3. click on the appropriate link for Tracking your application form online.Here is the Direct Link for Online Tracking. 4. After that you have to fill in your OMR Application No as it is printed in the OMR Application form and click on the "Get Status" Button.